Guaidó Says Venezuelan Agents Detained His Chief Of Staff In Pre-Dawn Raid Describing what he called a kidnapping, Guaidó said weapons had been planted at Roberto Marrero's house and that he should be freed immediately. 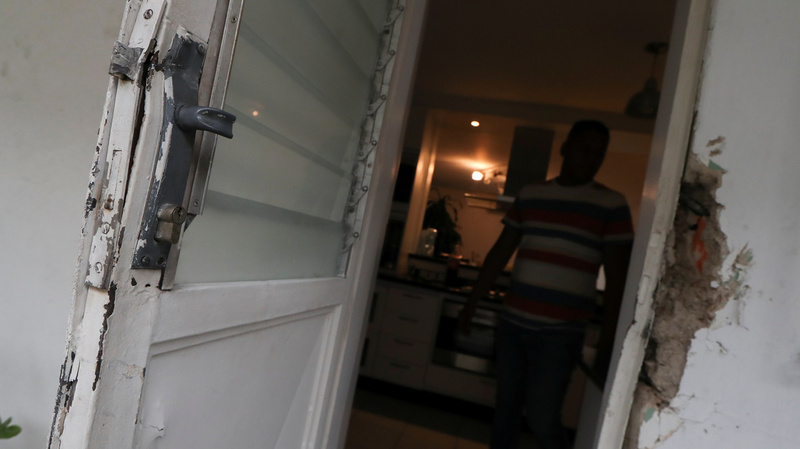 A damaged door frame is seen at the home of Roberto Marrero in Caracas on Thursday. Opposition leader Juan Guaidó says his chief of staff was detained by Venezuelan intelligence agents.